The I’s are dotted. The T’s crossed. The playbook is dog eared. 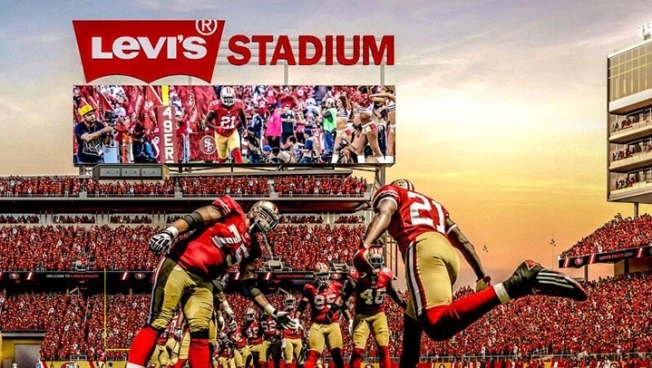 The only thing left for the Bay Area’s Super Bowl bid committee is to make its pitch. And for that, they’ve got 15 minutes. The committee heads to Boston next Tuesday to face the 32 NFL owners who will ultimately decide whether the prestigious 50th playing of the Super Bowl is played in the Bay Area or Miami. The runner-up gets Super Bowl 51… or Super Bowl LI if you want to get all Roman about it. The committee loaded its presentation onto Ipad minis, and sent them to the owners last week. They get 15 minutes to present their bid to the owners, mano y mano. The group has some serious weapons in its back pocket; the 49ers swanky new 1.2 billion dollar Santa Clara Stadium; bragging rights to forests, the bay, famous bridges and a ton of tourist stuff. The committee also announced on Monday it had lined-up $30 million dollars in funding pledges from Bay Area companies like Apple, Google and Hewlett-Packard. Eight million dollars of that is earmarked for Bay Area charities. It may not even be so much about what the Bay Area has going for it, as what Florida doesn’t. That state recently failed to pass a funding mechanism that would’ve provided needed improvement’s to Sun Life stadium, considered a linchpin of its bid. Still no one in the Bay Area is doing any celebrating yet, at least not publicly. So Tuesday, once the 15 minute presentations are done, the Ipad minis clicked off, the lunches consumed, the owners will take their vote. The Bay Area will then learn whether it is to become the center of the football universe, on the glorious occasion of a half-century of Super Bowls.